The Saharan oasis under the challenge of its landscape, The Jerid as an example. in Virginie Picon-Lefebvre with Aziza Chaouni, Desert Tourism : tracing the fragile edges of development, Cambridge (MA), Harvard University Press, Series : Aga Khan Program of the Graduate School of Design, 2012, 160 p.
Actes de la conférence “Desert Tourism : delineating the fragile edge of development”, à l’Université d’Harvard, Graduate School of Design, en avril 2007. Voir la page dédiée à la conférence donnée à ce colloque. This book seeks to analyze the relationship between tourism and the sustainable development of those territories, addressing issues raised by architecture, landscape design, and planning. Following a historical perspective, Susan Miller, Claude Prelorenzo, Neil Levine, and Aziza Chaouni show how the imaginaire of the desert was invented by movie directors, writers, and architects. Virginie Lefebvre, Alessandra Ponte, and Kazys Varnelis explore traces of previous conflicts that transformed deserts, from war to peace, into touristic destinations and places for experimentation. 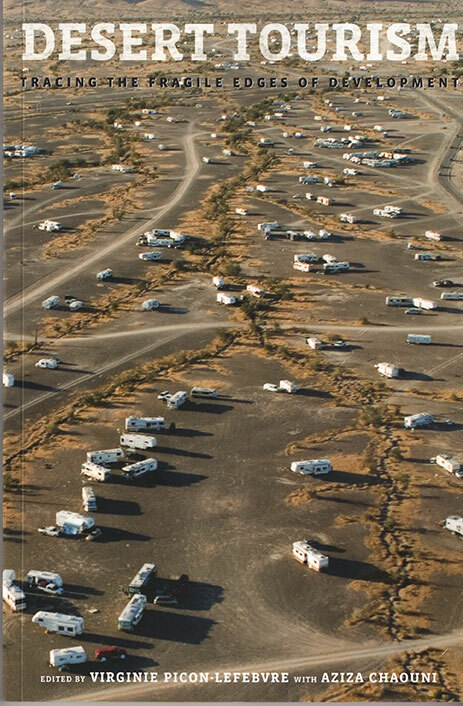 Finally, an analysis of contemporary conditions helps to measure the challenges still to be faced : Vincent Battesti tackles the ethnocultural landscapes of the oasis, Chris Johnson the preservation of deserts and impacts on local communities, and Gini Lee the use of deserts as creative places for artists. Cet article a été lu 3190 fois. Dernière mise à jour de cette page le mercredi 27 mars 2019 à 9:56:51. //// -----> Citer cette page? Vincent Battesti, "The Saharan Oasis under the Challenge of its Landscape, The Jerid as an Example" [en ligne], in vbat.org anthropoasis, page publiée le 10 janvier 2012 [visitée le 14 avril 2019], disponible sur: http://vbat.org/spip.php?article380.